It's that time! Time for the next month's challenge! You submitted, you voted, and your winner is... Konekojo! Congratz! Please keep in mind he/she cannot make a submission for the next month, October. Please be on the lookout for the October Submissions and enjoy the LIMITED TIME September challenge. You must complete the challenge before the end date in order to proudly use the September 2017 Badge. Holidays are over and it’s time to go to class ! Because summer is over and it’s time to hit the books !. Because no time to spare anymore ! ✎ Watch an anime with a club involved -> Love Live! Sunshine!! ✎ Watch a short anime -> Okusama ga Seitokaichou!+! ✎ Watch an anime with a club involved: Kono Bijutsubi ni wa Mondai ga Aru! ✎ Watch a School anime: Netoge no Yome wa Onnanoko ja Nai to Omotta? Holidays are over and it’s time to go to class! Because summer is over and it’s time to hit the books! Because no time to spare anymore! ✎ Watch a School anime: K-On! : Live House! ✎ Watch an anime with a club involved: K-On! ✎ Watch an anime based on a novel or light novel: Sao! ✎ Watch an anime with a club involved: Kono Bijutsubu ni wa Mondai ga Aru! ✔ Watch an anime based on a novel or light novel: Hataraku Maou-sama! ✎ Watch a short anime: Senyuu. ✎ Watch an anime with a club involved: Love Live! Sunshine!! ✎ Watch a short anime: Pan de Peace! ✎ Watch a School anime: Watashi ga Motenai no wa Dou Kangaetemo Omaera ga Warui! Because summer is over and it’s time to hit the books ! 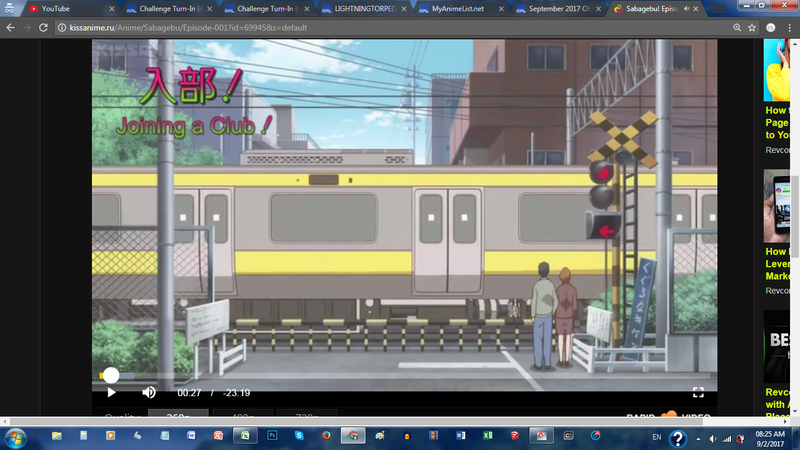 ✎ Watch an anime with a club involved: Sabage-bu!